SANTA ANA, Calif. -- The parents of a 19-year-old University of Pennsylvania student killed and buried in a California park said Tuesday that the killing may have been a hate crime against their gay son. A person is taken into custody for the murder of University of Pennsylvania student Blaze Bernstein in Orange County, California on January 12, 2018. As he described the kiss, Woodward clenched his jaw and his fists, saying "he wanted to tell Blaze to get off of him," investigators wrote in the affidavit obtained by the Orange County Register. "Our son was a beautiful gentle soul who we loved more than anything," Gideon Bernstein and Jeanne Pepper Bernstein. "We were proud of everything he did and who he was. He had nothing to hide. We are in solidarity with our son and the LGBTQ community." The couple added, "If it is determined that this was a hate crime, we will cry not only for our son but for LGBTQ people everywhere that live in fear or who have been victims of hate crime." "We are saddened to hear, on the day we laid our son to rest, that gruesome details of the cause of his death were published," Bernstein's parents said in their statement. Suspect arrested in University of Pennsylvania student death ID'd. Jim Gardner reports during Action News at 11 p.m. on January 12, 2018. Carrie Braun, a spokeswoman for the Sheriff's Department, would not confirm to The Associated Press if Bernstein was stabbed but said, "the condition of the body at the time it was discovered turned it from a missing person to a homicide immediately." Bernstein texted two female friends about a June interaction where he felt Woodward was romantically interested in him, according to the document. Bernstein wrote that Woodward was about to "hit on me" and "he made me promise not to tell anyone." 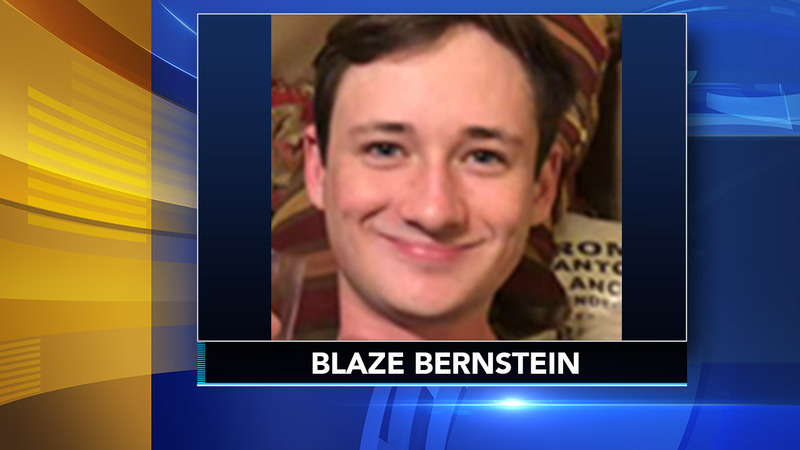 Memorial service for UPenn student: Sarah Bloomquist reports during Action News at Noon on January 15, 2018.